Not everything hidden in the closet is scary, even if it’s furry and has sharp claws! Every teenager’s dream come true and every parent’s worst nightmare, Megan’s Munchkins is a short and sweet tale about a middle-school girl finding, quite by accident, the pet she had always wanted. Plus three more! It’s almost Spring break and adventurous thirteen-year-old Megan Thompson finds four tiny day-old kittens in the park and makes a decision on the spot that will turn her life upside-down. What does a young girl do who has been told by her parents over and over again that she may not have a pet? In Megan’s mind, there is no question. She must save these motherless newborns, even if it means keeping them a secret from her mom and dad. The next five weeks are an exhausting blur of vet visits, endless cycles of feeding schedules, household chores, homework and sneaking around, but Megan has never been happier in her whole life. The kittens grow quickly and begin to venture out into the world beyond the closet. Megan knows it is only a matter of time before she must tell her parents about her secret. Fate steps in and her secret is discovered. What will happen to her precious babies now? is not right. The name for you is Chip.” Chip stopped eating for a moment, and gave her a little mew, as if he was quite content with his new name. She felt happily satisfied as she put Chip back in with the others. Yes,her kittens now had names and her parents were impressed with her initiative. Megan was pleased with the way her plan was working so far. She knew she had more obstacles to overcome, but for now, Megan focused her attention on her kittens. She spent time talking to and cuddling the kittens. It was fun to talk to them, now that she could call them by name. If how they were raised was going to affect their personality, Megan would be the best mom she could be to her babies. She would raise these kittens to be the sweetest, friendliest cats ever. With the kitten snapping in their box next to her, Megan’s turned her attention to her research on kitten care. The sound of the garage door going up pulled Megan away from the computer twenty minutes later. She knew her dad was expecting her outside, so she offered the bottle to each kitten before heading to the yard. She didn't mind mowing the lawn or doing the dusting and vacuuming. She smiled to herself as she worked. I have new pets to care for. This spring break will be perfect. I just have to prove to my parents that I can handle the responsibility. The time passed quickly and soon it was time to feed the kittens again. After lunch, as her mom left to go shopping with Stacey, Megan retreated to her room. She pulled the kitten’s box from her closet. She researched kitten care on her laptop and spent time with her babies. Megan was grateful that her dad had brought some work home with him. The fact that he was busy in the kitchen while she was upstairs, meant she wasn’t forced to lie any more. ​I have only had the kittens twenty-four hours and I have had to lie during every conversation. “Mm-hm,”her dad answered absent mindedly​. “I still can’t believe they moved the deadline upon us. They expect us to have the same hundred-page report done two weeks earlier.” Megan’s dad had been with the same company for as long as Megan could remember. The small amount of gray that now peppered his brown hair made him look distinguished and fit with his title of account manager. With the conversation not focused on her, Megan’s thoughts wandered. ​I’ve always said I’d have a house full of pets when I grew up. Now, I don’t have to wait anymore to have pets. Megan’s Munchkins was adorable. Though it did something some books rarely do. That is the fact we get to learn about kitten care though not like we are getting bogged down with information all the time like a kitten book. It as if Megan want to prove to her parents that can take care of a pet. Though she makes mistakes along the way. We see she how she changes and that of her parents. She afraid to tell her parents that she found them. Will Megan's fear over rule and or will she tell her parents. We see her determination and struggle to want to tell her parents. She doe take on the responsibility of the kittens. She know she want them to live and not die. Her family does not know other then her brother. Though will she face and accept the mistakes and learn from them. You will need to find out by reading. Her parents see the changes but they get a little upset when they find out what she been hiding. Pamela Foland grew up in Plano, Texas. Her love of animals started at a very young age. As a child, she was constantly bringing home stray dogs, and injured birds. She graduated from the University of Texas at Dallas with Bachelor of Science in Biology and a minor in Business in 2005. As an adult, her love of animals has only grown stronger. Pamela has worked in numerous pet hotels as a dog trainer and is certified to teach pet first aid and CPR. All her experience with pets culminated four years ago when Pamela found and raised an abandoned litter of day-old kittens. 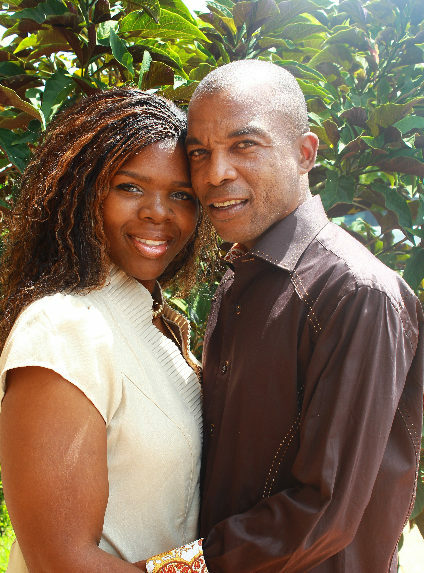 Not able to part with any of these now-grown babies, Pamela enjoys going home to her ‘little munchkins’ every night. This experience gave Pamela the inspiration for her series debut, Megan’s Munchkins. Pamela will always have a special affinity with Megan, because of their shared experiences. There are few experiences in life more compelling than saving the life of another being. Description: "Patrick Turns His Play Into Pay" is a picture book, based on a true story. It details the journey of an entrepreneur, Patrick Muhammad through the eyes of a child. The book uses illustrations that are vivid and lively words, to explain the road little Patrick took to the world of entrepreneurship. This book shows the reader how Patrick turned his passion of baking into a full-fledged business for himself. This book plants an entrepreneurial seed in today's youth and demonstrates how their passion can someday become their profession. 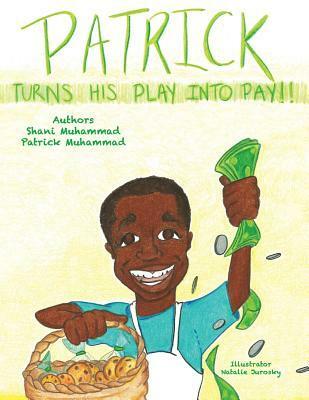 Patrick turn his play into pay is really a good book for children. Did you ever know that what you enjoy the most could become a business of some sort. Patrick show this though this baking and learning to cook with his grandmother. Patrick does what all children do when something breaks. Once he hears that his parents can not help. He get the idea about backing or what learned when he was young and visiting his grandmother. His friend helps with a sign for this business. It a sweet. The pictures tell the story. I like the pictures and they are done well. There educational in the book as well. 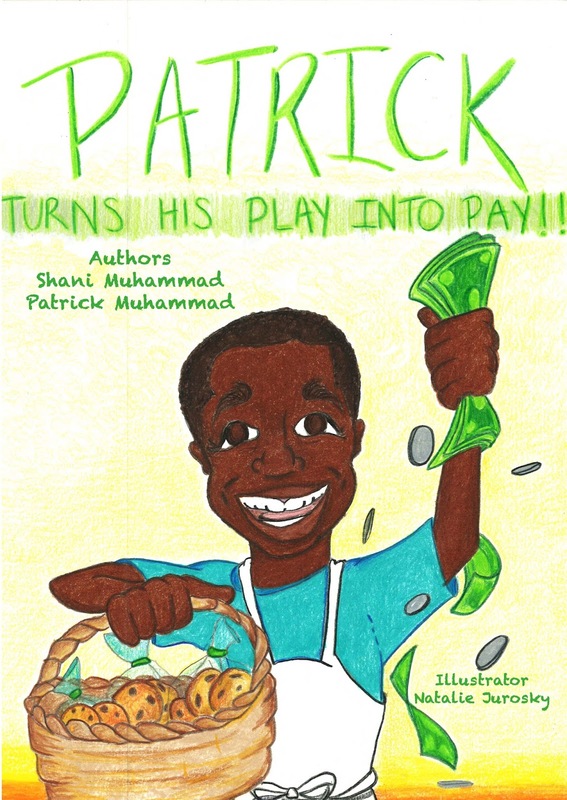 The first book in a series, “Patrick Turns His Play Into Pay”, details the journey of an entrepreneur, through the eyes of a child. The book uses vivid illustrations and lively words, to explain the road little Patrick took into the world of entrepreneurship. It demonstrates the benefits of tapping into your passion early in life. “Patrick” tapped into his passion of baking to help solve a money problem. This book also shows the ups and downs of being an entrepreneur. You witness a 9-year old take the power and control of his future into his own hands. You also see what happens when “Patrick” finds help in a friend, to help grow his business. Above all, this book motivates both young and young at heart and serves as a reminder that we all have the ability to turn our playdays into paydays. Disclaimer: I received this series from Pump your Book Book Tour. I am doing this for an honest review. Description: Mitee Mite was created to help children learn while having fun!When children enter grade school, many are behind in the basic life skills of telling time, dates, measurements. Mitee Mite addresses these issues and helps teach these skills in a way that is relatable, memorable and fun. This collection includes all five of the original Adventures of Mitee Mite! Building on a desire to teach children about time, shapes, measurements, and money, author David John created THE ADVENTURES OF MITEE MITE series. In the same way that many of us learned our ABCs, the book and app (available on Google Play and iTunes) collection helps young readers learn how many seconds are in a minute, the number of sides different shapes contain, and more, using a catchy tune that captures their attention and motivates learning. Focusing on children from age 3 to 11 years old, THE ADVENTURES OF MITEE MITE book and app series offers its readers a dynamic female superhero, Mitee Mite, as their guide through the often tricky terrain involved with mastering time, shapes, measurements, and money. In her matching red cape and boots, Mitee Mite, accompanied by her alarm clock sidekick, Terry the Ticker, activates her superpowers by using her manners, respecting others, and accurately answering questions in the games she encounters during her adventures. 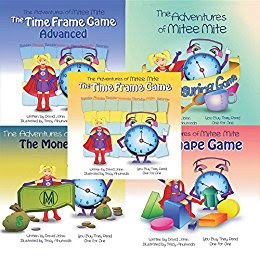 The five books in THE ADVENTURES OF MITEE MITE book and app series include The Time Frame Game and The Time Frame Game Advanced, which break down seconds, minutes, hours, days, months, and years to teach readers the fundamentals of time. The Measuring Game explores the components of feet, yards, and miles, as well as cups, pints, quarts, and gallons. Mitee Mite teaches kids about currency in The Money Game and dives into a colorful world of triangles, squares, hexagons, and more in The Shape Game. The companion song for this series (available at www.miteemite.com) helps kinds absorb the skills in an enjoyable and interactive way. The Adventures of Mitee Mite is a good teaching and learning collection of books. They make it fun for children with a math. The children will learn Time, Money, Shapes, Measurements. It was done really nicely. The author does a good job with the learning, The pictures are done well. I love that you get several different answers to choose from and try and guess the answer. When you turn the page you will get the answer to Question or to what you were getting the right answer. It a neat idea and good for young learning and has trouble with their shapes, Measurements and Time, and money. 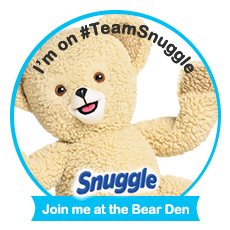 It enjoys it and it believes this is a good concept for parents and children to do together and it funs. David John is the author of The Adventures of Mitee Mite book and app series. The series follows the adventures of superhero Mitee Mite and her sidekick, Terry the Ticker. The five titles in the series are The Time Frame Game (Hardcover ISBN: 978-0-9860919-0-2; Softcover ISBN: 978-0-9860919-6-4), The Measuring Game (Softcover ISBN: 978-0-9860919-2-6), The Money Game (Softcover ISBN: 978-0-9860919-4-0), The Shape Game (Softcover ISBN: 978-0-9860919-3-3), and The Time Frame Game Advanced (Softcover ISBN: 978-0-9860919-5-7). Complementary apps for each book are available on Google Play and iTunes. The companion song is available at the website: www.miteemite.com. David lives in Scottsdale, Arizona, with his wife and daughter. He enjoys spending time with his family, playing hockey, and creating new stories for The Adventures of Mitee Mite book and app series. Disclaimer: This book was given to me by my grandmother. 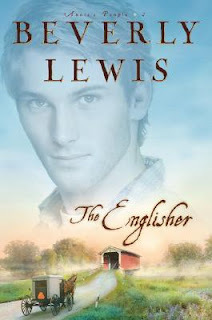 The Englisher appear the focus of this story or mostly part of the story. Beverly does do this gradually. Annie Zook has some struggles to keep the promises that she made with her father who by the way is the preachers. We go through the struggles with Annie. There another struggle that going on as well. Zeke is struggling with something and it does take the whole book to figure it out. There are surprises and twists throughout the book. Ben Martin as come to Amish county and has his own secrets. He comes to work in the tack shop. He keeps his secret of what brought him there. He seems to run into Annie. Lou had come and is staying with her pen pal Annie. Lou is embracing the Amish and their ways. Will Lou be back or will she leave. Disclaimer: I bought this book though Amazon with a gift card given to me from the author/publisher. My review is honest and was not influenced by anyone. 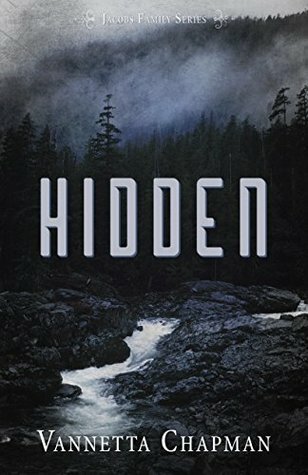 Hidden is a story. Vannetta Chapman does a wonderfully job with the plot of this book. It action packed from the beginning to the end. You are pulled into this book from first few pages. You think this book is a thriller from the way it written and told. We learn about Ben Marshall and Dana Jacobs. We are surprised and twists. What is Dana running from? She does not tell us or do we discover completely until end. I do not want to spoil it for you. Jacobs has a staff of some dedicated members and it to Homeland security. We know someone is after something or someone. There a call that comes in at the school as if it a bomb but you do not now and then there an attack or threat of one. It gets more action packed from there. If you are a thriller, Mystery, action fan, you get many it all. Though it looks like there some Christian talk in here about god. I mean there is some if not more than enough. Will Dana get over her fears or will she not? Disclaimer: I received the copy from a giveaway or maybe Goodreads Early Reader. I cannot remember exactly. 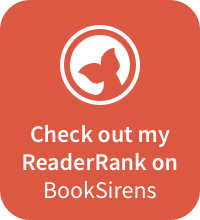 My review is honsesty and is not stipulated by author or publisher. Description: Beatrice Zook knows God wants her to learn patience toward others. When assisting a family overwhelmed by triplets proves surprisingly successful, her confidence in dealing with others, both young and old, grows. 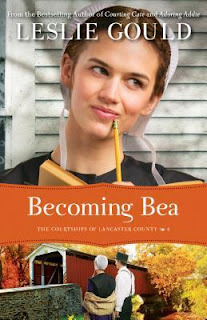 Becoming Bea is about a girl and family. It looks into the relationship of Bea and Ben. They both have trouble communicating with one another. Bea hears Nan has just had triplets from a member of her community. She wants to help out and so offers. There is matchmaking going on. Will Bea lean to communicate or will she not. She believes she made to be a spinner or old maid as the Amish like to call it. The author does a decent job. Thought the plot of the story make me wonder what it really about. We do know that Molly is married. Bea does not want to move and be with her older sister and her husband. 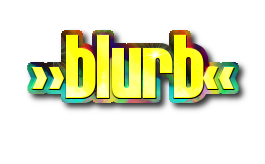 Like I stated the author is good. It just do not know what the main plot of the story is about other than Ben and Bea have problems with communications. You figure that out early enough. Now if the author plot is to see the couple can figure it out and finally get together. Maybe what it was about. But to me it was unclear exactly what the plot was about. The author does wonderfully for Minding Molly and Courting Cate and their plots. It not so confusing as Becoming Bea. Maybe it to see how Bea grows from a girl to a young woman. You have the option to read it and decide yourselves. I believe this is an okay book. My only problem with the story and book is the plot nothing more.